Our integrated approach to packaging puts our in-house expertise to work for you, providing full-service offerings from ideation to product sale. Our “concept-to-shelf” solutions ensure lower costs, timely production, brand recognition and enhanced sales. Sonoco Alloyd's full-service, in-house design shop makes your product a standout in the market, faster and for less. Learn more about Sonoco Alloyd's Design Services. The best way to see if a packaging solution will meet your needs is to see it, touch it and interact with it. Sonoco Alloyd creates shelf-ready prototype sample packages to ensure your complete satisfaction with the form, fit and function of your product in its package. We’re excited to provide prototype samples for client presentations or consumer testing. 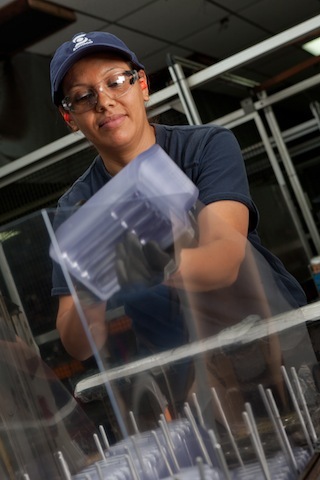 Once a packaging design is selected, a custom blister form tooling mold may be made. Our in-house process of mold making, thermoform tooling and production ensures the security and integrity of your product. Whether the project calls for blister-to-card, blister-to-blister or medical-grade lidding to blister tray sealing, we design our heat-sealing tooling to your specifications, guaranteeing the highest quality seal. 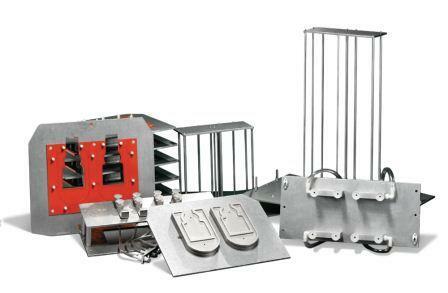 Each set of tooling is tested for performance and integrity and includes nesting trays, magazines and plug racks for blisters and cards, and heat plate and package eject assembly. Aergo machine product brochure. Sonoco Alloyd is the leading provider of automatic, semi-automatic and reconditioned sealing machines that improve operating efficiencies, reduce costs and advance operator/equipment interaction through ergonomically enhanced designs. In addition, we provide sealing machine parts and service. 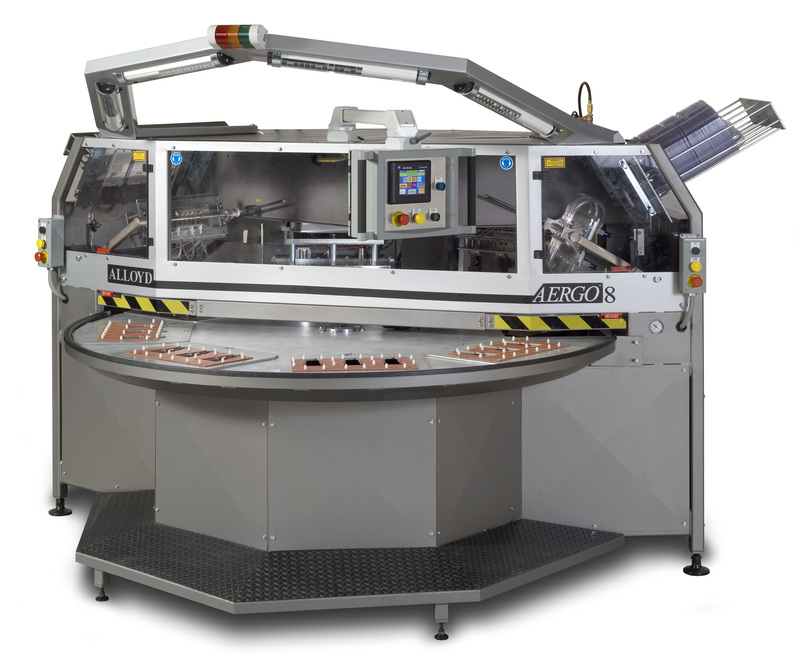 Our Aergo® line of packaging machinery features heat- and fusion-sealing and radio frequency (RF) welding technology, all designed for safety and ease-of-use. Learn more about sealing machines. Our state-of-the-art Printed Products division is one of the premier manufacturers of carded packaging products in North America. Our full-service printing capabilities, rapid turnaround time, combination runs and innovative structural design gets you to market quickly and cost effectively. Sonoco Alloyd's point-of-purchase solutions are designed to provide easy setup, heighten visual interest and impact, encourage consumer interaction, increase brand awareness and facilitate sales. An award-winning mix of form and function, our designs have produced results for clients across markets and across the world. Sonoco Alloyd understands that effective package design focuses on the needs of the entire value chain, from marketers and manufacturers to retailers and consumers. Whether your needs are brand building, logistics, load management, asset protection, self-merchandizing, safety or post-purchase validation, Sonoco Alloyd provides the perfect packaging solution. Sonoco Alloyd is now offering the DivvyPack! To learn more about this innovative new product, read the press release or download our flyer. Sonoco.com Sonoco Alloyd is a proud member of the Sonoco Family, a global provider of consumer packaging, industrial products, protective packaging and packaging supply chain services.